This program started in 2008, when frozen chicken became scarce in the local market, but local farmers in Cameroon could not meet the demand. 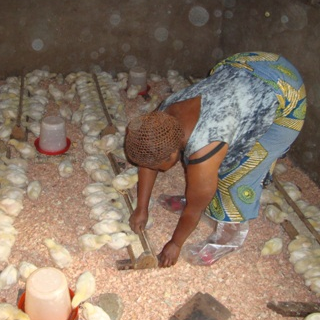 To provide an efficient solution, AgriDynamic collaborated with her partners to set up a training center in Ndop region of Cameroon that offer two courses on broilers production and commercialisation. A six month course for youths and a three months course for older people. If you like to know more about the courses please contact us here . There are also possibilities to organize the short course out of the center, should you have interest please click here for more information.